The shovel with living hinge is an improved manual snow shovel with a feature that adds efficiency when removing loose material from the surface of sidewalks, driveways, or pavements. The shovel with living hinge is made up of both conventional and unconventional parts that in whole provide benefits unlike other manual shovels. 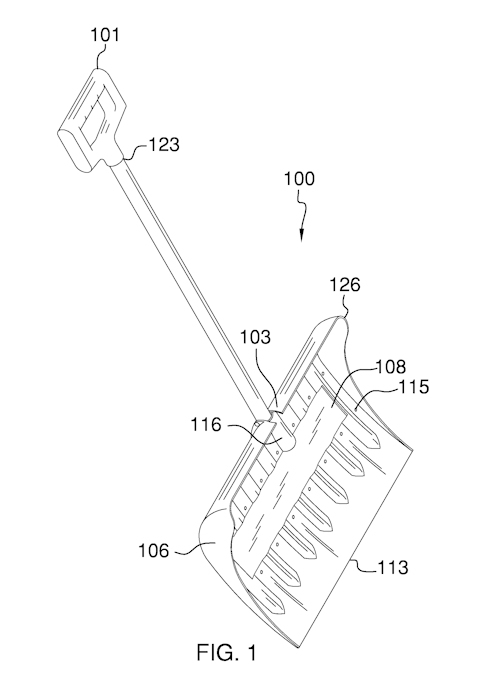 Located within the ribs of the shovel is a living hinge that aids in reducing the manual effort put forth by the user when pitching loose material away from a surface.